NYC, 02/08/2019, 10:30AM. The Ordeal of Rabbi Jacob Sasportas. This talk will examine the notion of Sabbatianism as “a new law” or “a new religion” in the writings of Jacob Sasportas (1610-1698). 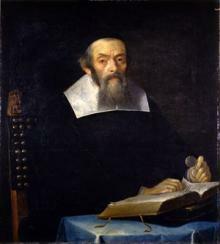 A rabbi who lived in the major centers of the Western Sephardic Diaspora, Sasportas emerged as the most articulate opponent of the messianic movement that coalesced around Sabbetai Zevi and his prophet Nathan of Gaza in 1665-1666. In his principal Hebrew work, Zizath novel zvi (The Fading Flower of the Zevi), Sasportas repeatedly described Sabbatianism with the Hebrew phrase “Torah hadashah,” which can be rendered in English as “a new law” or “a new religion.” Furthermore, he made an analogy between Sabbatianism and early Christianity, an analogy that would have enormous staying power for subsequent students of Sabbatianism from Jacob Emden to Gershom Scholem. This talk asks two related questions: what did Sasportas mean in his use of the phrase “Torah hadashah?” And what was stake for him in the analogy between Sabbatianism and Christianity? Speaker Yaacob Dweck is Associate Professor of History and Judaic Studies at Princeton University.